I’m part of a secret society, one that I didn’t even know about two years ago. Like most secret societies, it’s one that you only learn about after you’ve joined. It’s called The Twin Club. 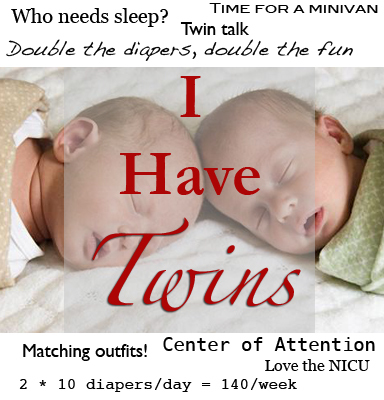 There’s just one admission requirement: having twins or multiples. You’ll be informed of your admission by someone you know who’s already in the club – a relative, perhaps, or a friend, or even a casual acquaintance. Suddenly, you two share an important connection: You both will be raising twins. For me, it was a distant and somewhat-older cousin who lived on the east coast. Unlike most of the cousins whom I saw every major holiday growing up, she and her siblings made rare appearances and had a different last name. And because I was more than a decade younger than her, I’m sure I offered little in the way of interesting conversation. But she did keep in touch with the family, and about eight years ago I was in the room when we got the call: my cousin was having triplets! There was a shout of shock and excitement, and very likely (for seasoned parents in the room) some thoughts of sympathy. She and her husband already had a daughter who was about to be joined by two brothers and a sister. They were adorable and I did meet them once or twice, but otherwise I didn’t give it much thought. Then, about 18 months ago, we made our own proud announcement to the family: we were pregnant with twins. When word of this reached the east coast relatives, I received a long, touching, and very personal e-mail from my distant cousin about what a joy it is to have multiples and how happy she was for us. Hands-down it was the longest conversation I’d ever had with her. It was a side of her I’d never experienced. It was my welcome notice to the Twin Club. I would soon learn that the club has many benefits. You share an immediate close personal bond with any other parent of multiples. Because the pregnancy, birth, and first few months (or years) are extra-challenging, it’s like you’ve been in battle together with those other parents and grown closer because of it. Upon finding out that someone else has twins, you lock eyes with him or her and share a too-knowing smile. It doesn’t matter what type of twins you each have. You’re connected. Extra attention. You get noticed when you have a new baby, but you get fawned over when you have twins or triplets. Get ready for that. Everyone wants to know the twins’ names and if they’re identical. Conversations with strangers. Everyone knows someone who is, has, or is going to have twins. You’ll hear about it from complete strangers. Shared wardrobe. You might not appreciate it as much, but your little ones can share many (or if they’re the same gender, all) of their clothes, shoes, etc. Sympathy, if not enough. People do recognize the challenges of raising twins and they really feel for you. 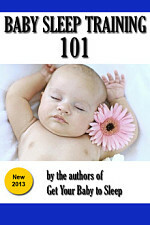 You’ll get offers of babysitting, food, and lots of baby gear. Don’t be afraid to say yes – you can always pass these things on to others who might need it more, and no one’s feelings get hurt. Sorry, but you can’t be granted access to this exclusive club. There are lots who’d like to join, but the chances of having twins are about 3%. They know someone with twins, or want them badly. Maybe they even had siblings that were twins. We are pleased to have these invited guests from time to time, but they will never be full members of our little society. Not until they look at an ultrasound screen and see two heartbeats instead of one.